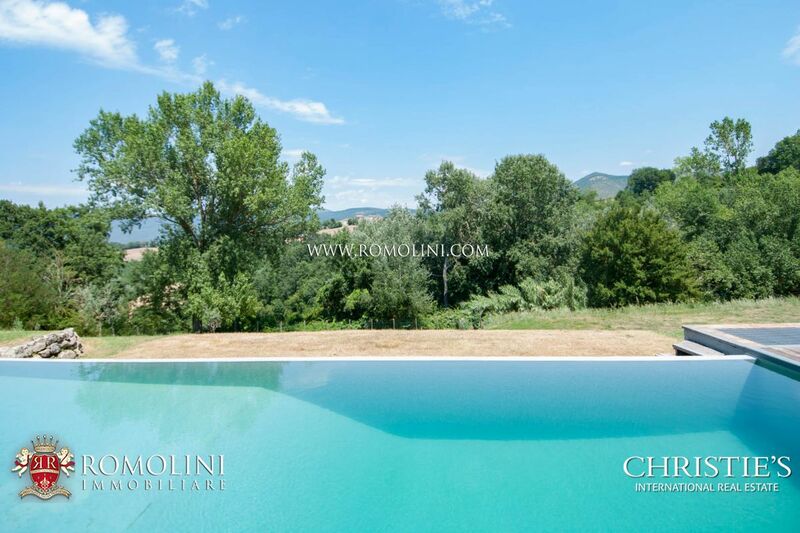 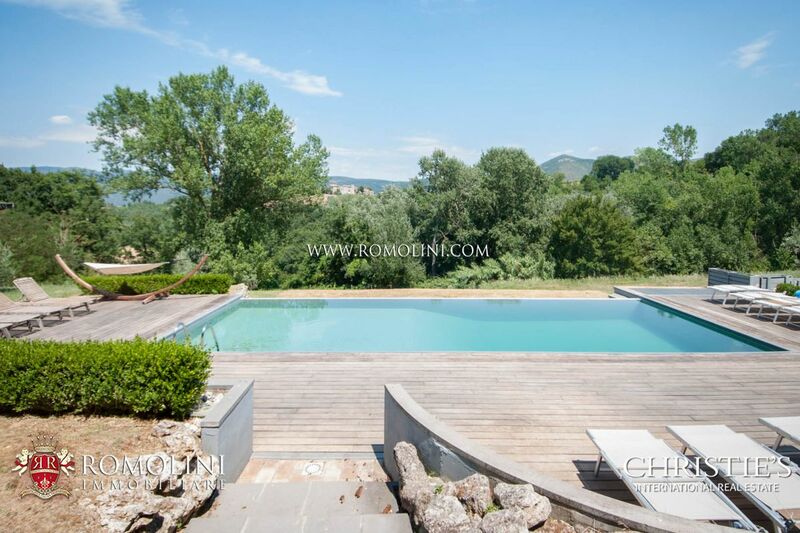 In a dominant location in the Umbrian countryside, a short distance from the town of Acquasparta in the province of Terni, fully restored 14th-century farmhouse with land, pool and garden. 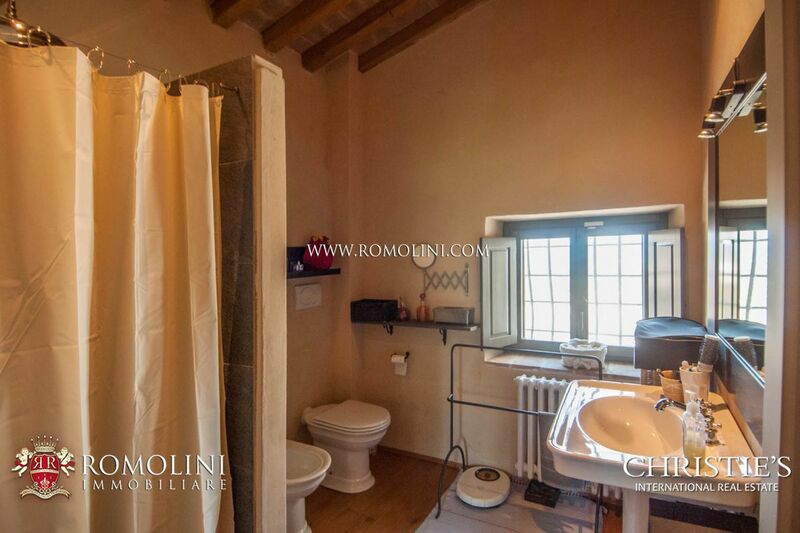 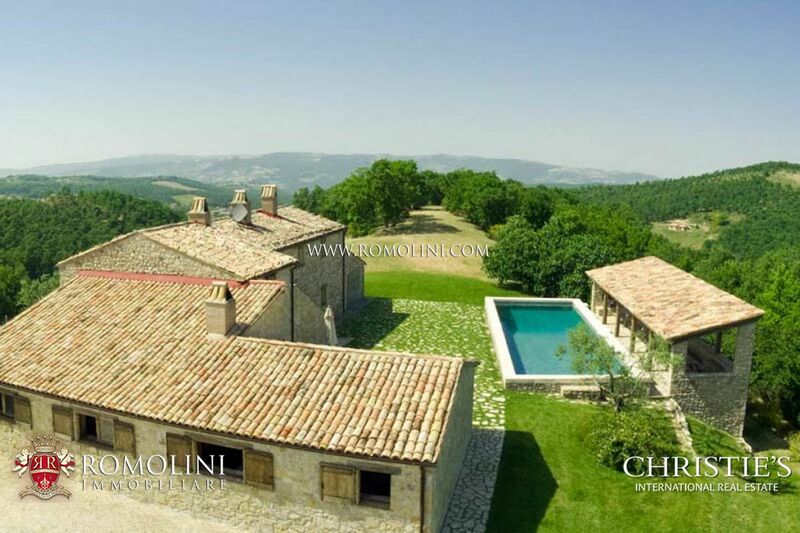 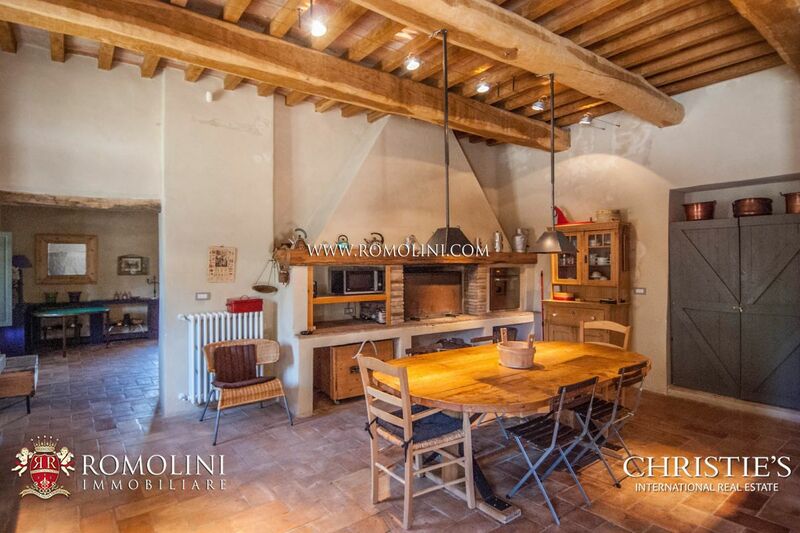 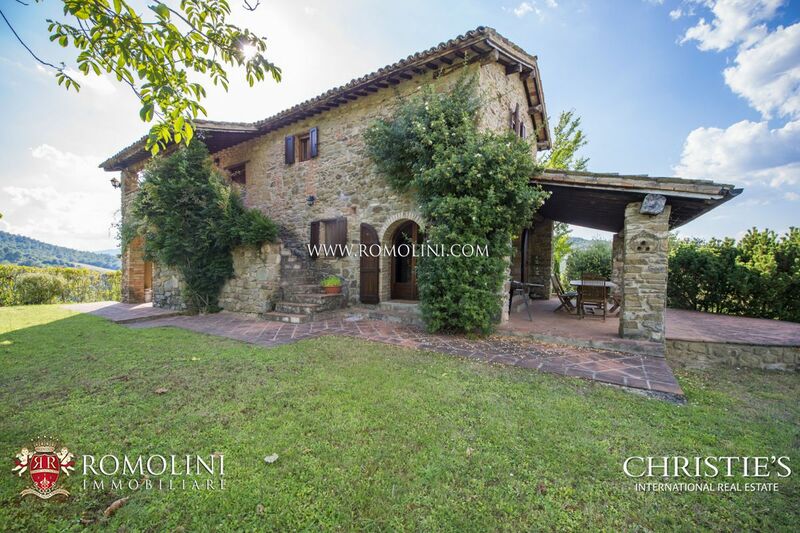 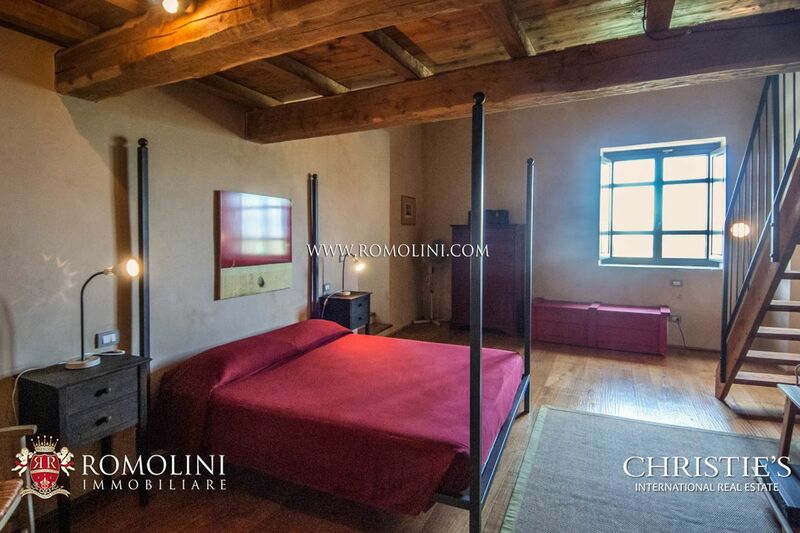 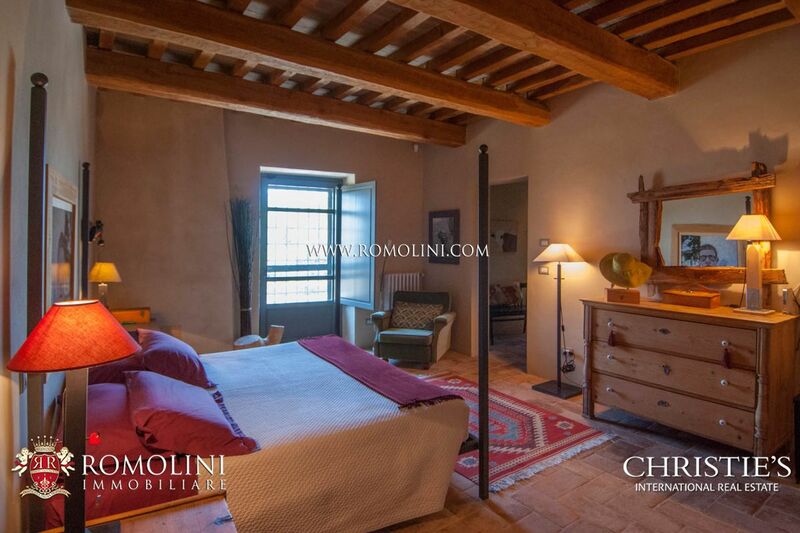 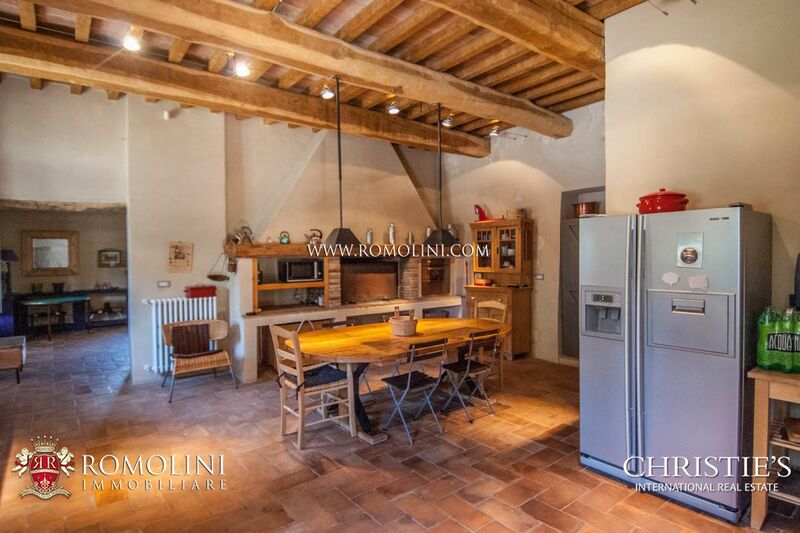 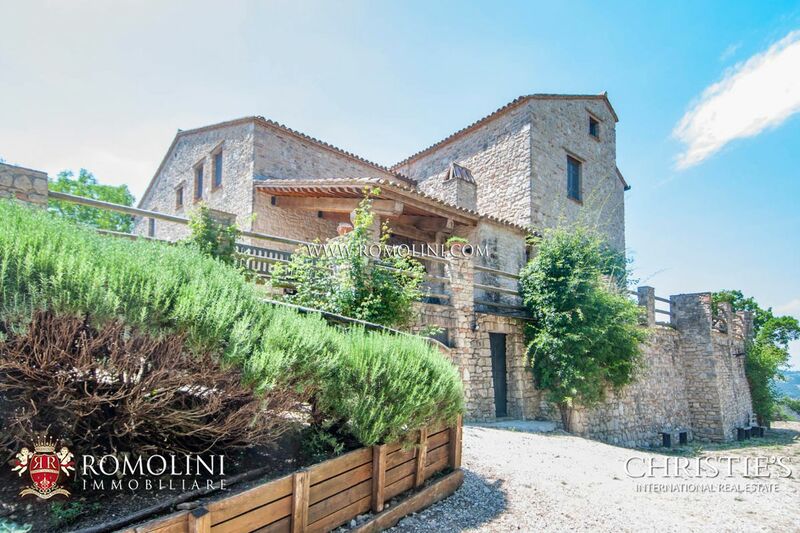 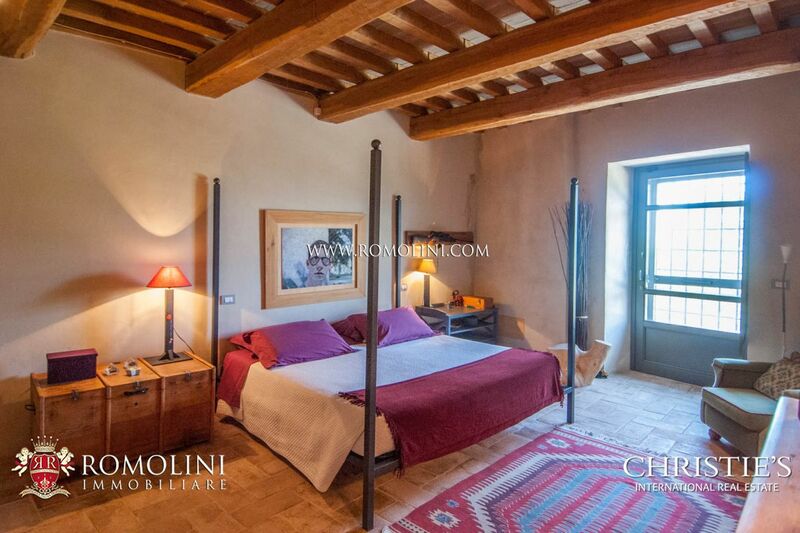 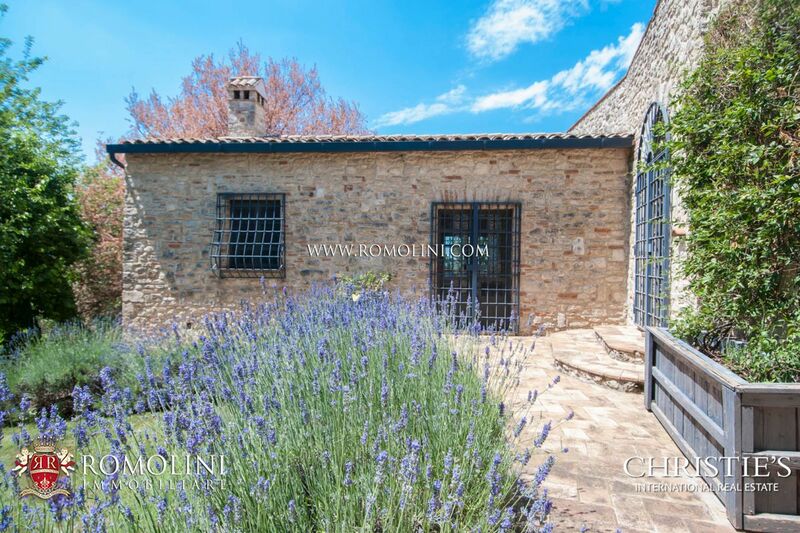 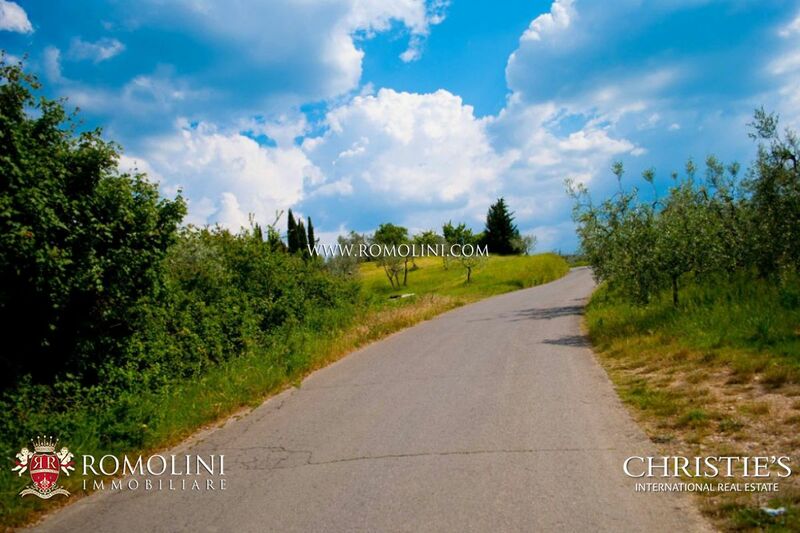 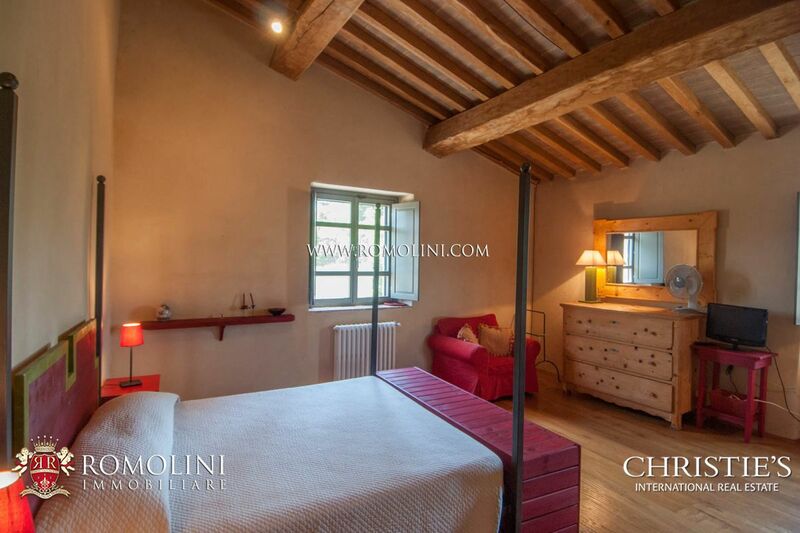 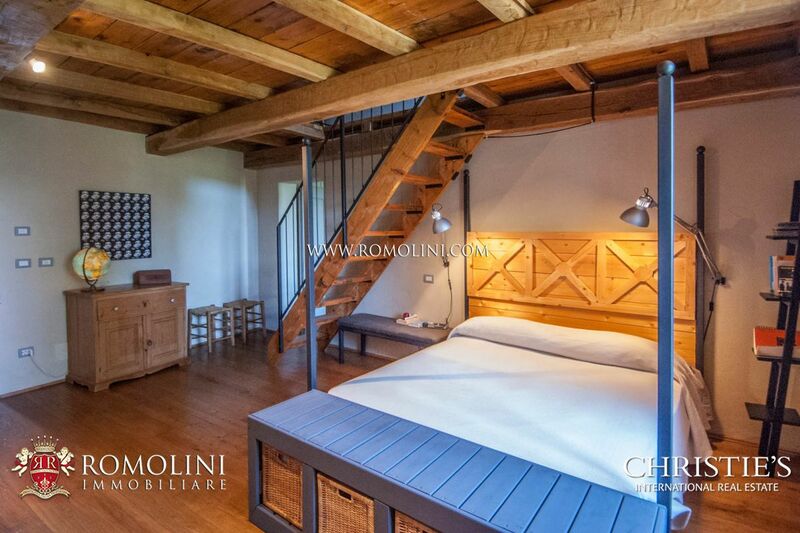 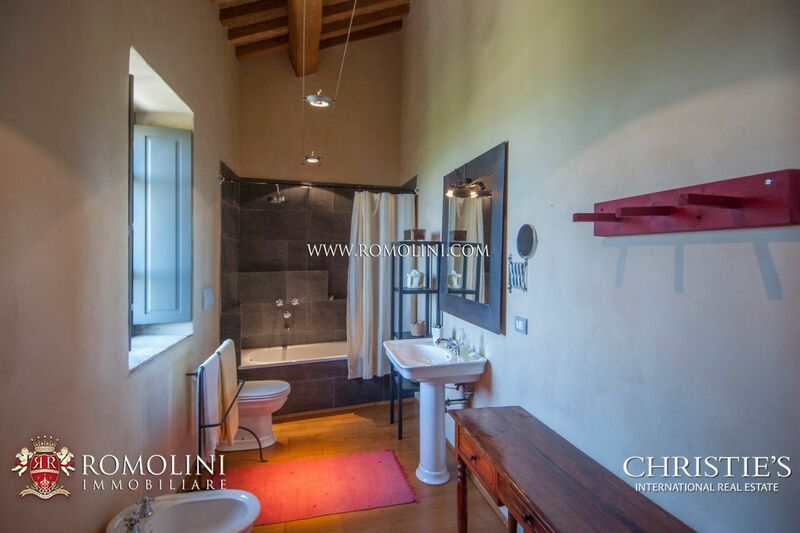 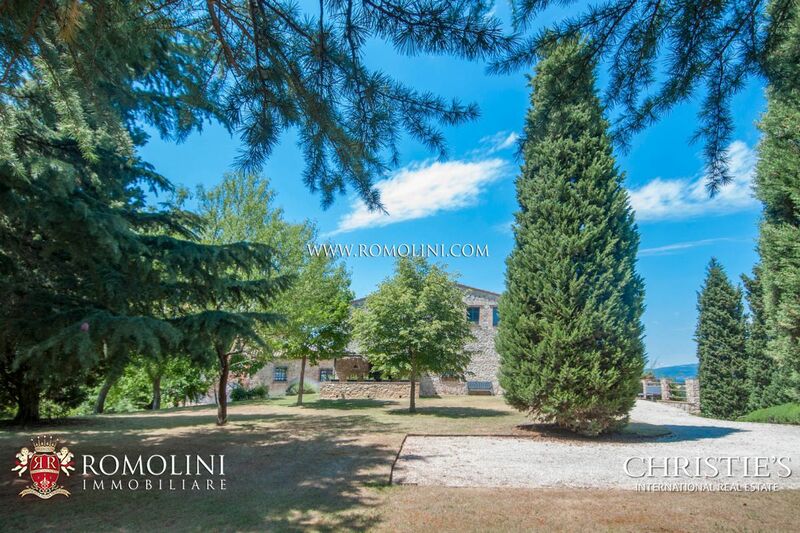 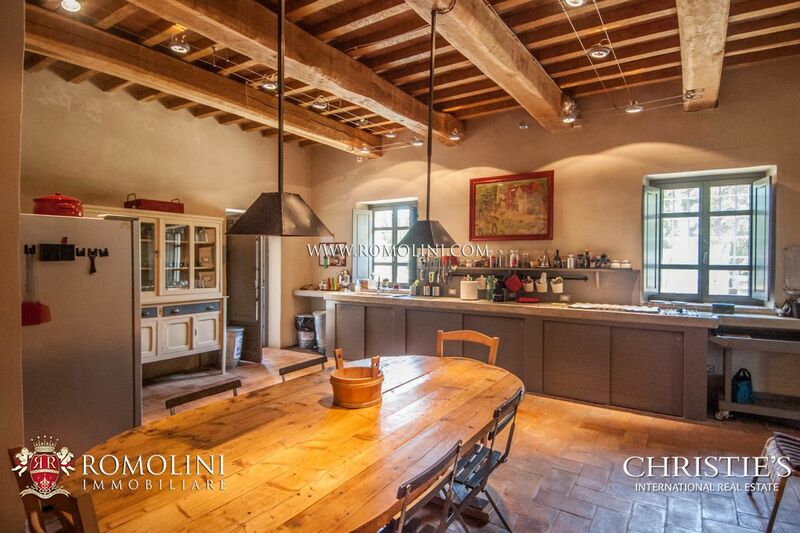 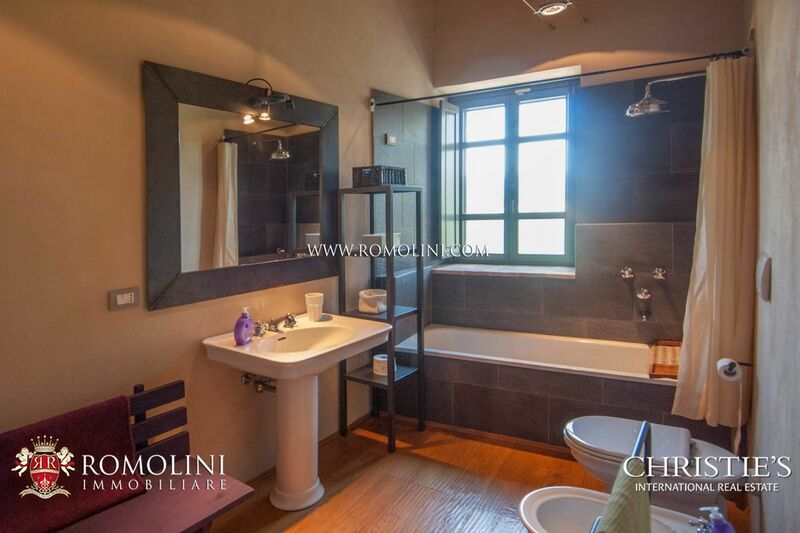 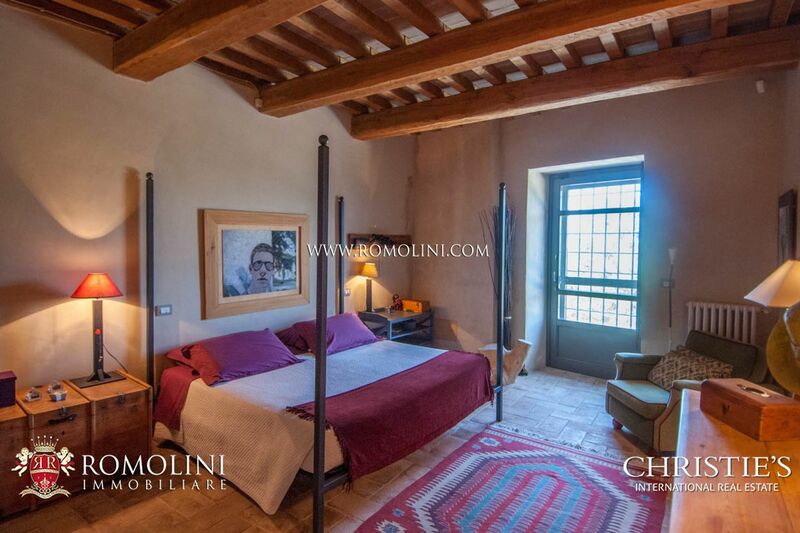 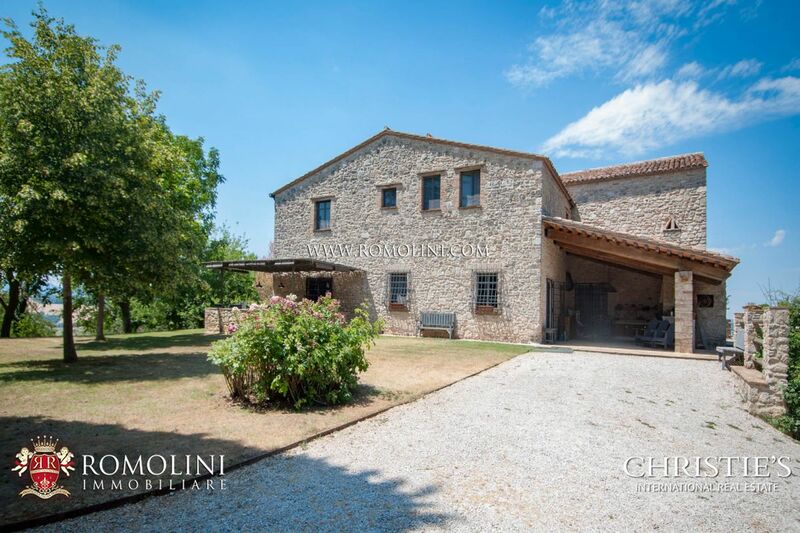 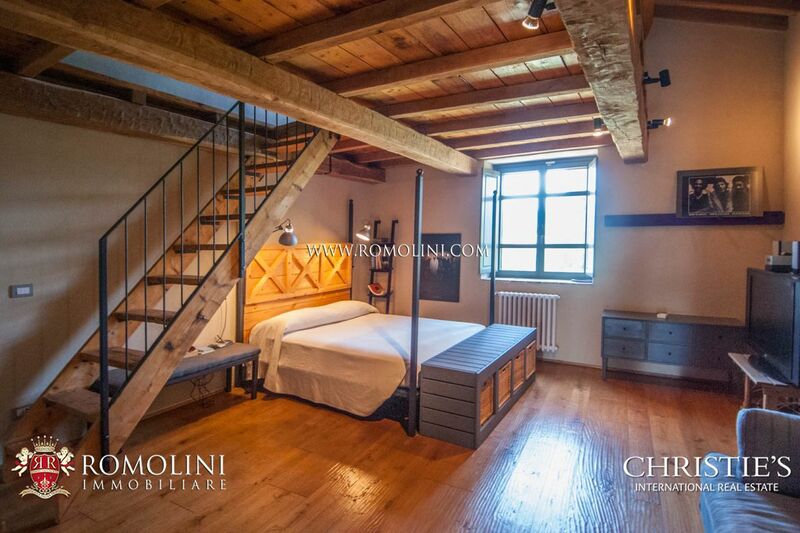 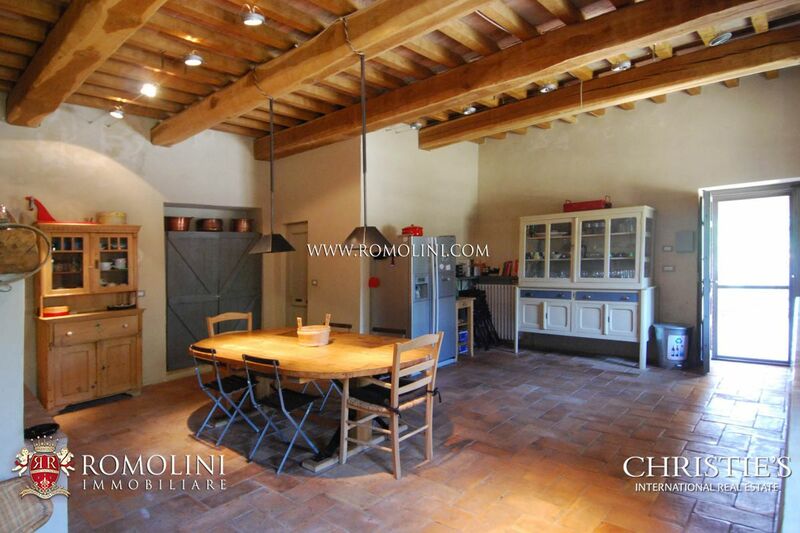 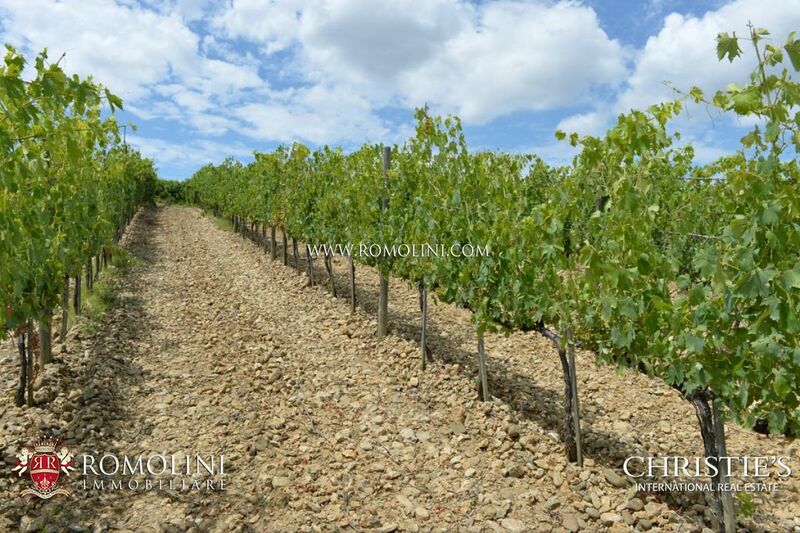 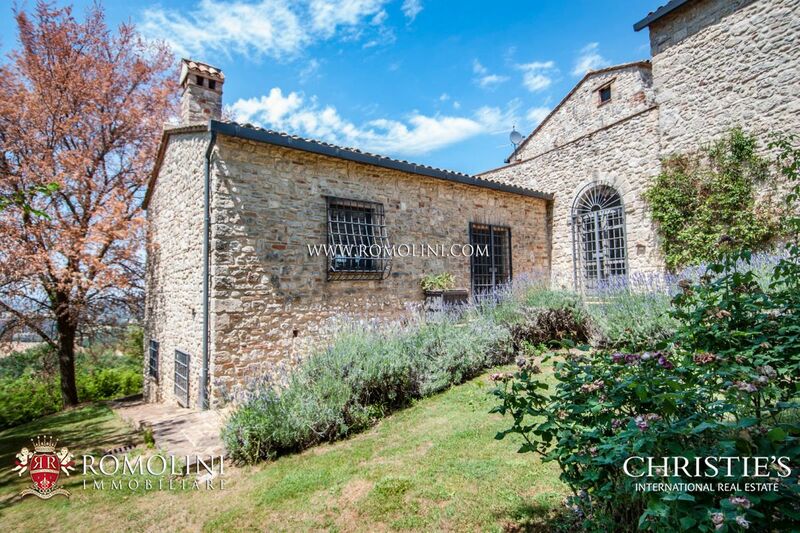 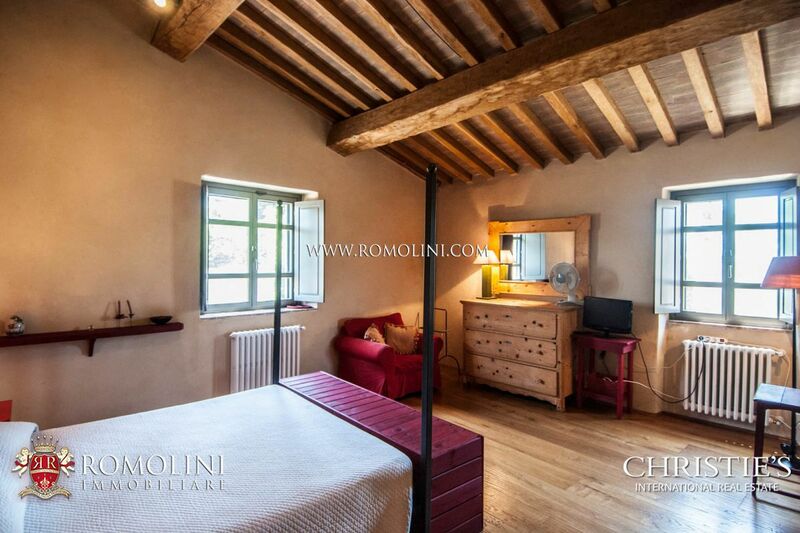 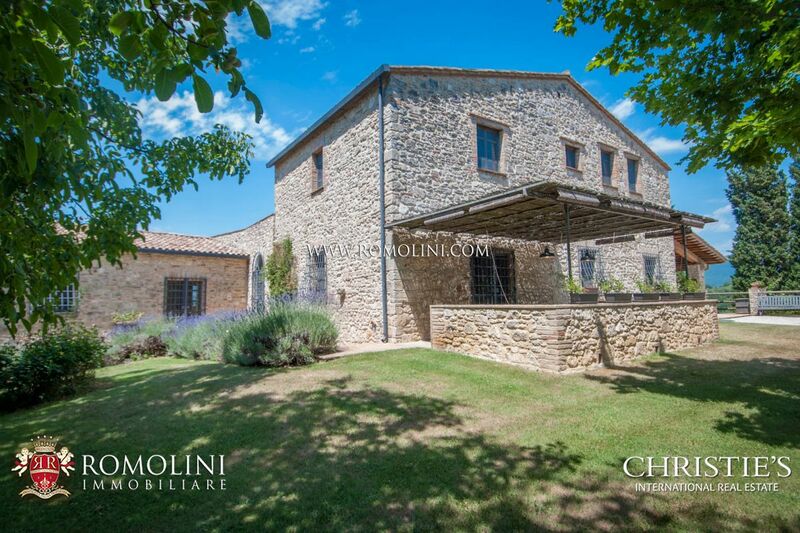 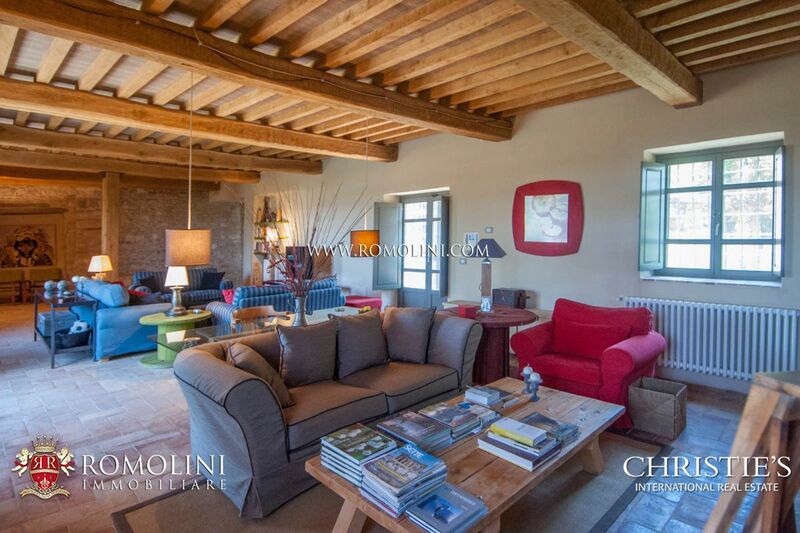 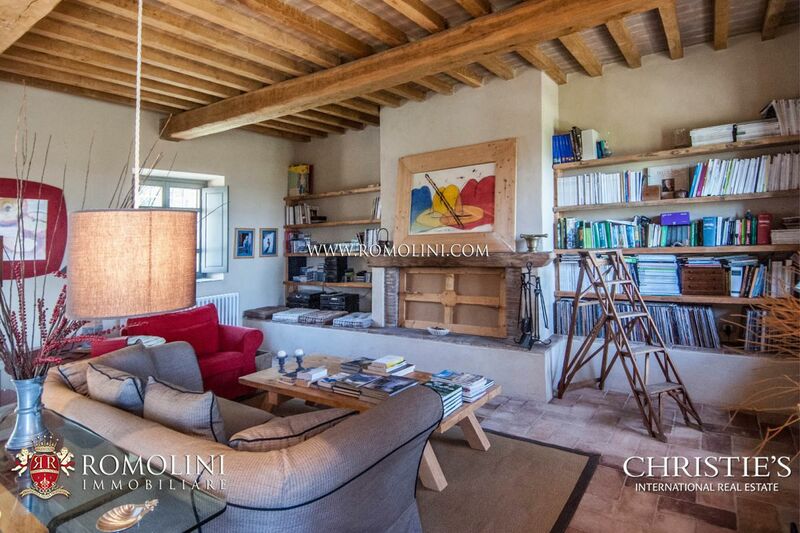 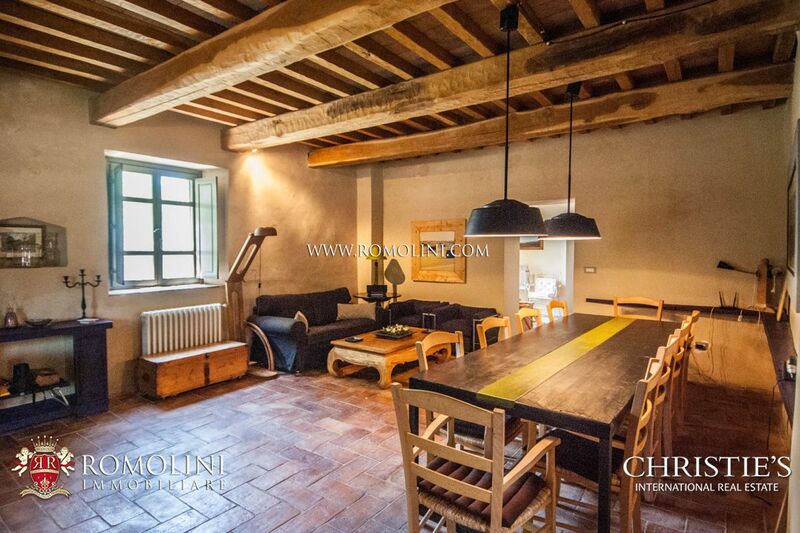 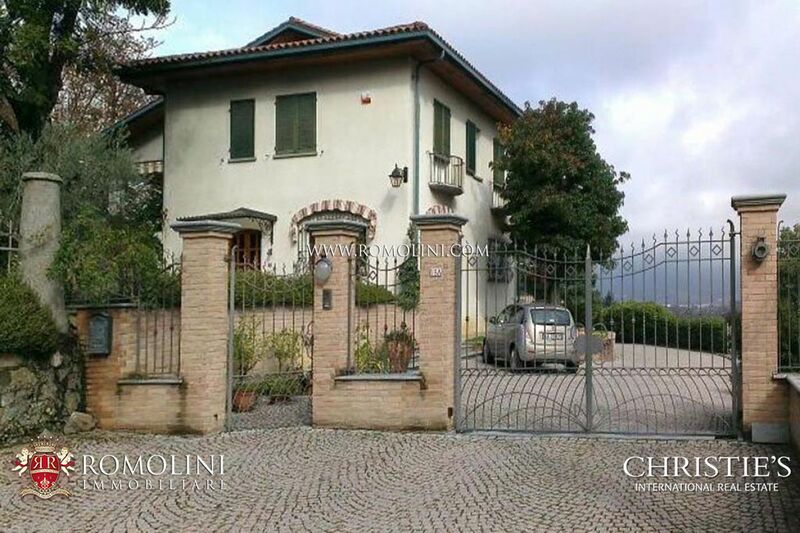 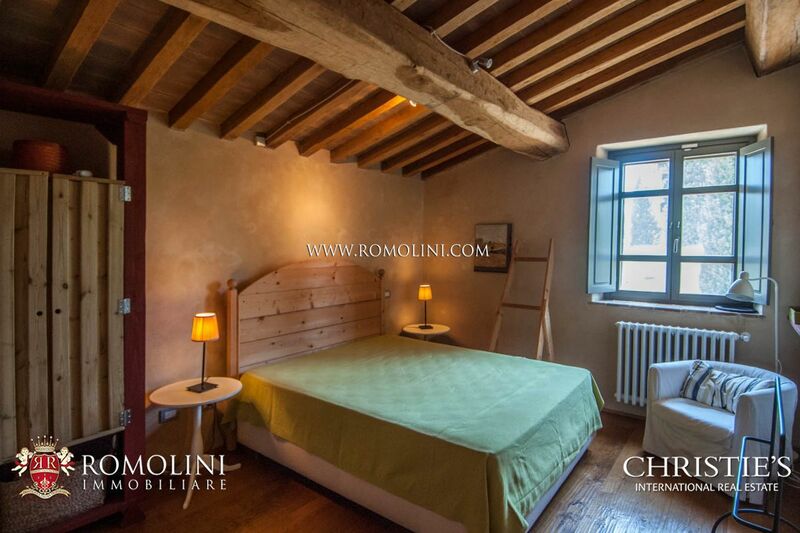 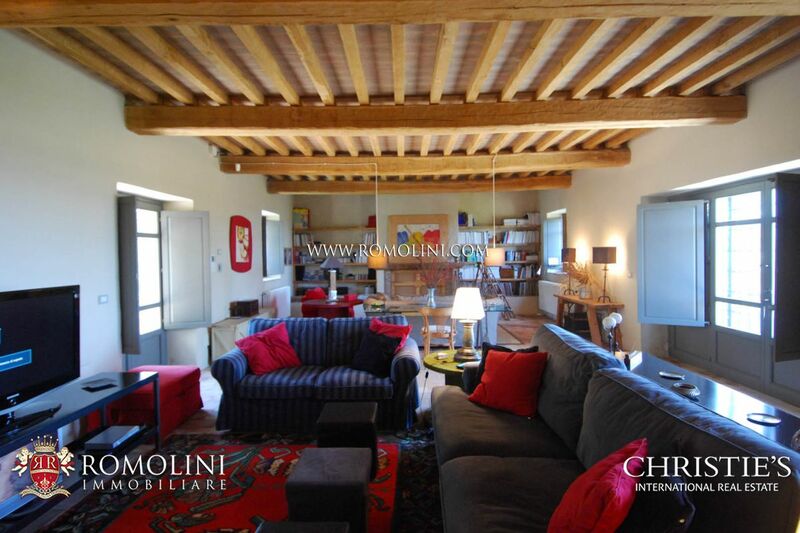 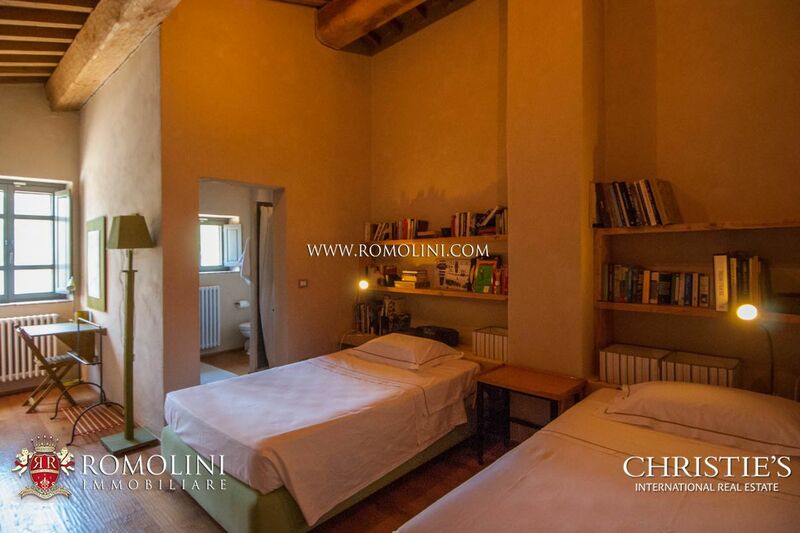 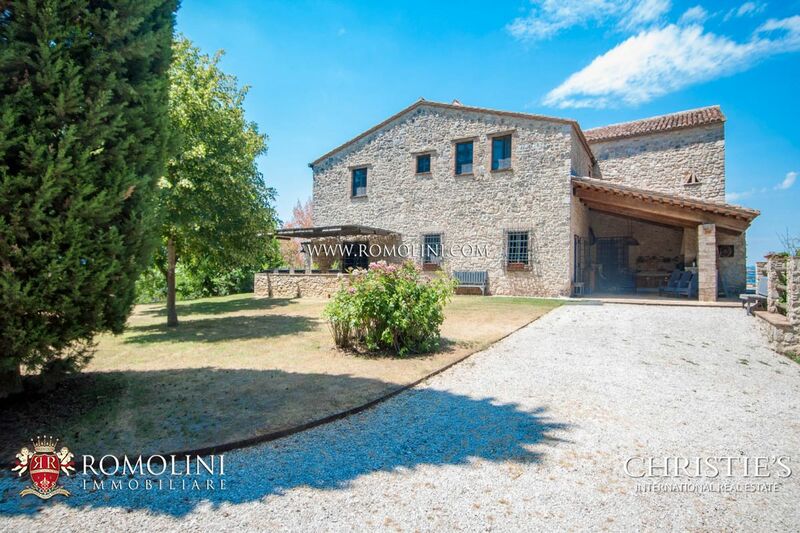 Easily reached via a well-maintained unpaved road (400 m) and close to the necessary services (2 km; 5’), the farmhouse is blessed with a privileged position and grants a quick access to the most renowned centers of central Italy: the medieval town of San Gemini (15km; 20’), Terni (25km; 25’), the Pontifical city of Spoleto (26km; 40’), the city which inspired C. S. Lewis for its novel Narnia (29km; 30’), the wine town of Montefalco (37km; 50’) and just a bit further the beautiful city of Rome (114km; 1h 40’). 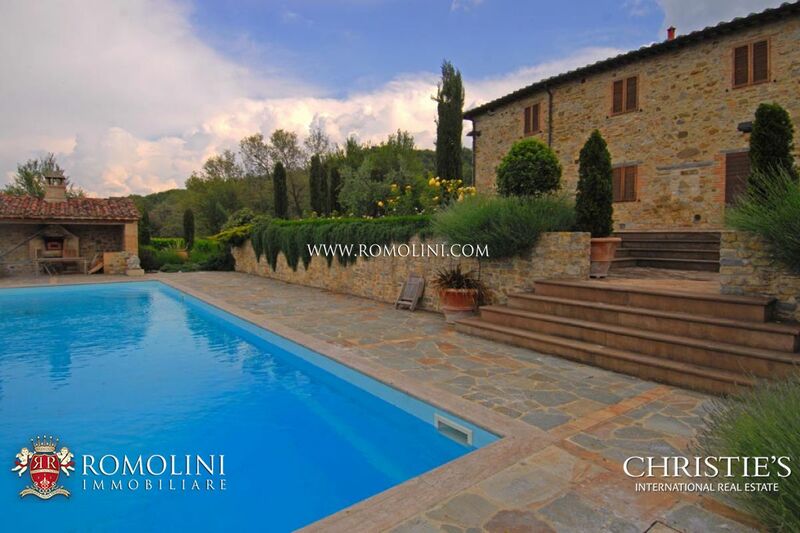 Best airports to reach the property are Perugia Sant’Egidio (66km; 50’), Roma Ciampino (128km; 1h 30’) and Roma Fiumicino (143km; 1h 35’). 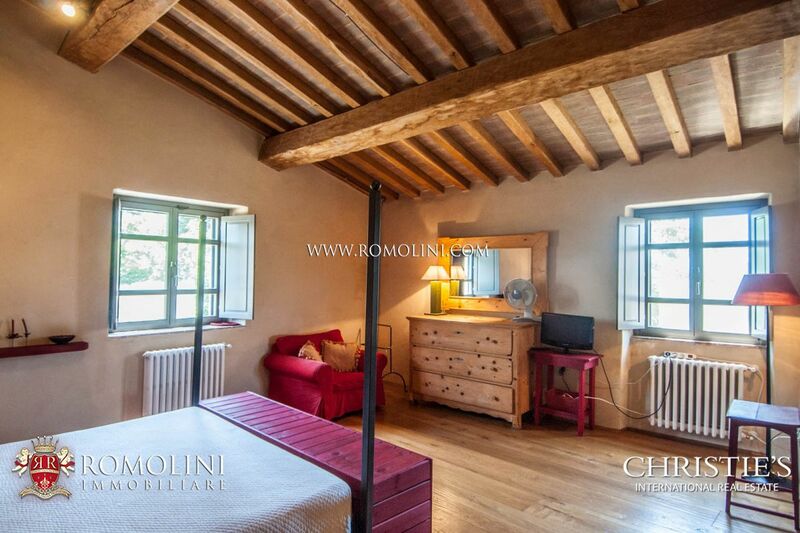 - First floor: master bedroom with en-suite bathroom and sitting area plus 4 more bedrooms with en-suite bathroom. 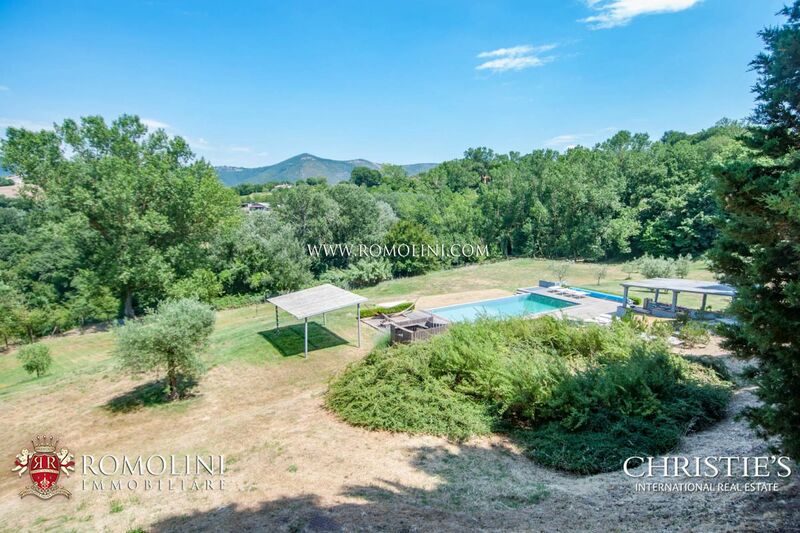 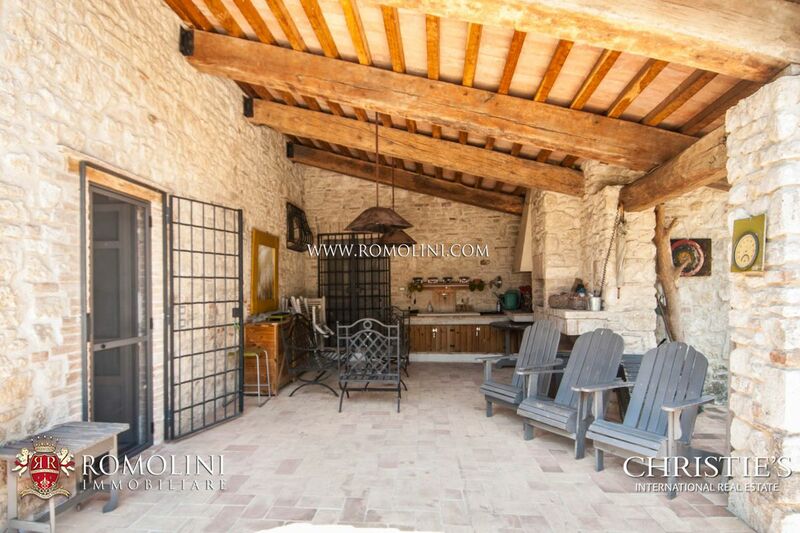 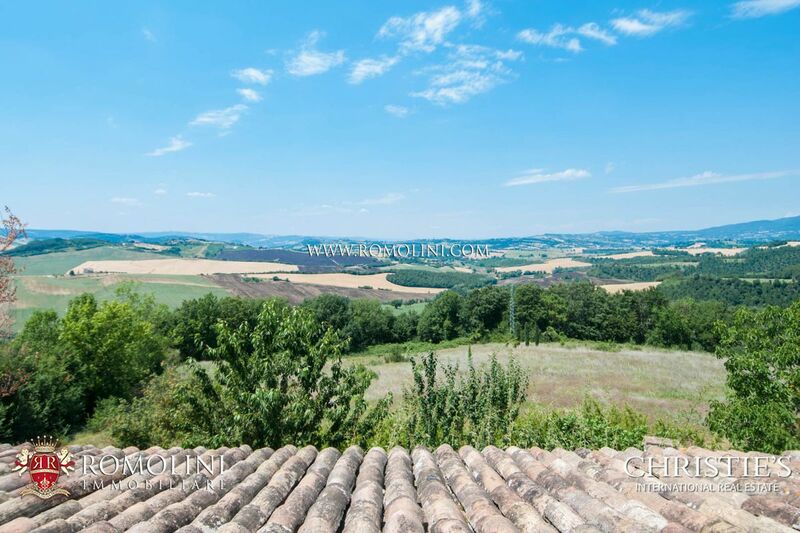 On the outside, ample terrace with panoramic view over the surrounding countryside. 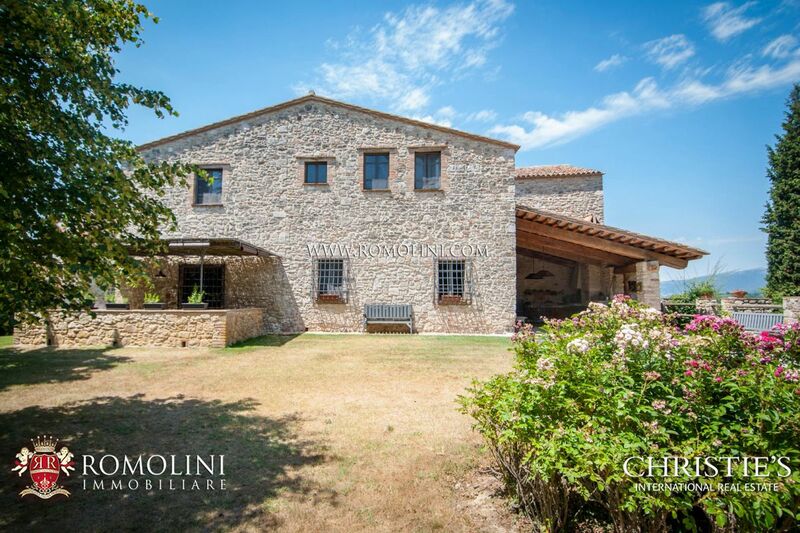 The farmhouse was built in the 14th century in a place which was at that time known as Terra Arnolforum (or less simply terras specialis commissionis Arnolforum, which means lands ruled by the Arnolfi). 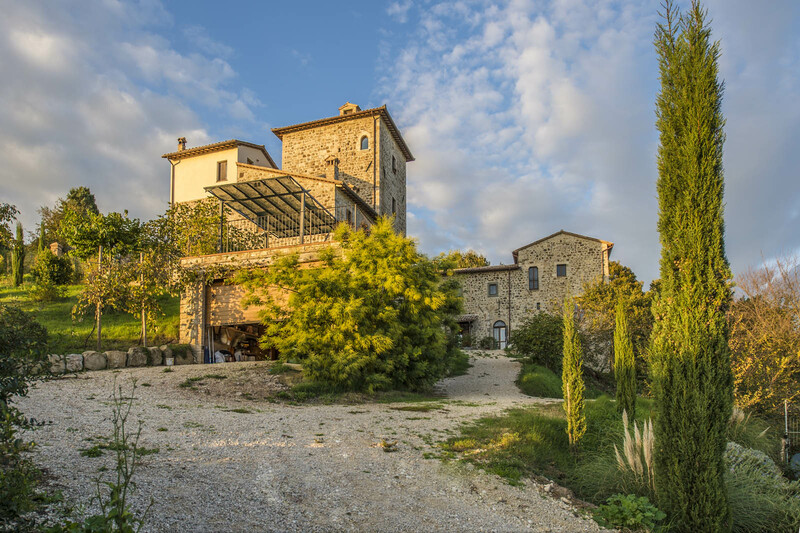 The name recalls the Arnolfi, a family of German ascendants who responded to the Duchy of Spoleto. 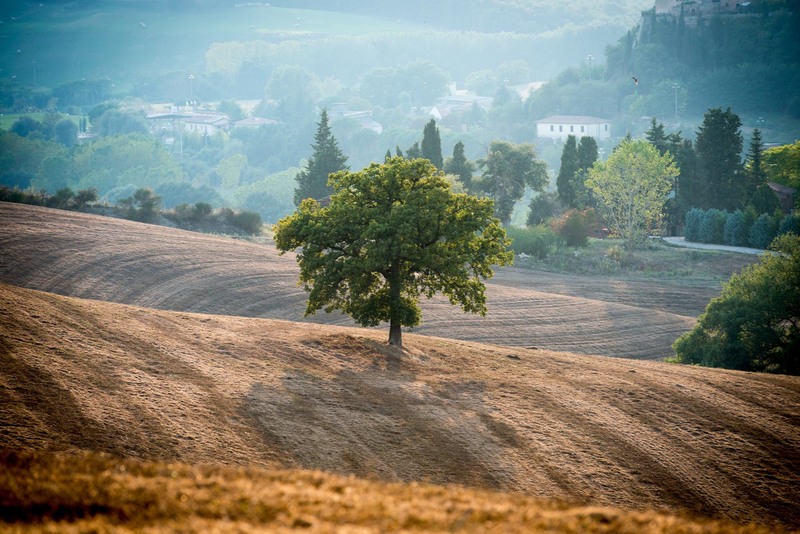 When in 1014 AD Henry II (Emperor of the Sacred Roman Empire) descended towards Italy for its crowning in St. Peter’s cathedral, he gifted the pope Benedict VIII the Terre Arnolfe (completing the process started by Otto I). 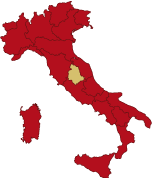 In 1278 AD the Papal State gained the ultimate control of the lands which were shortly after “gifted” in turn to the city of Spoleto as a reward for its fidelity. 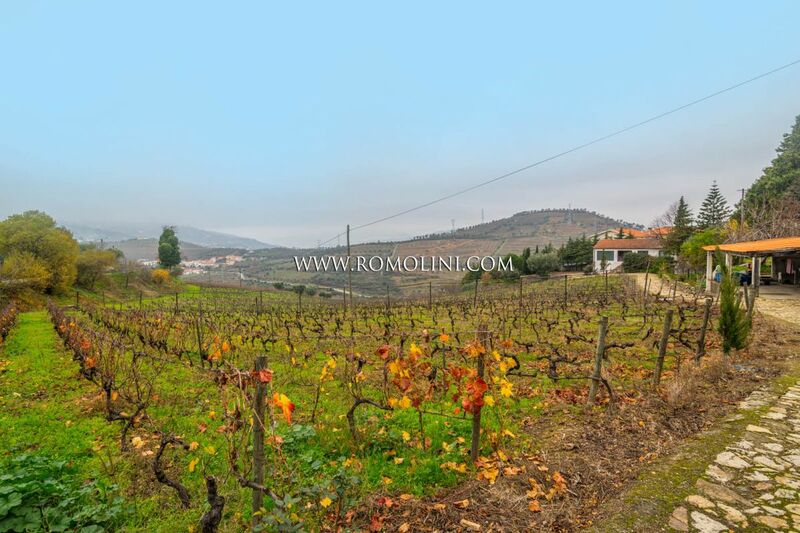 The history of the Terre Arnolfe was then a sequence of fights and disagreement between Spoleto and Terni, and the pope was forced to intervene multiple times to avoid a war. 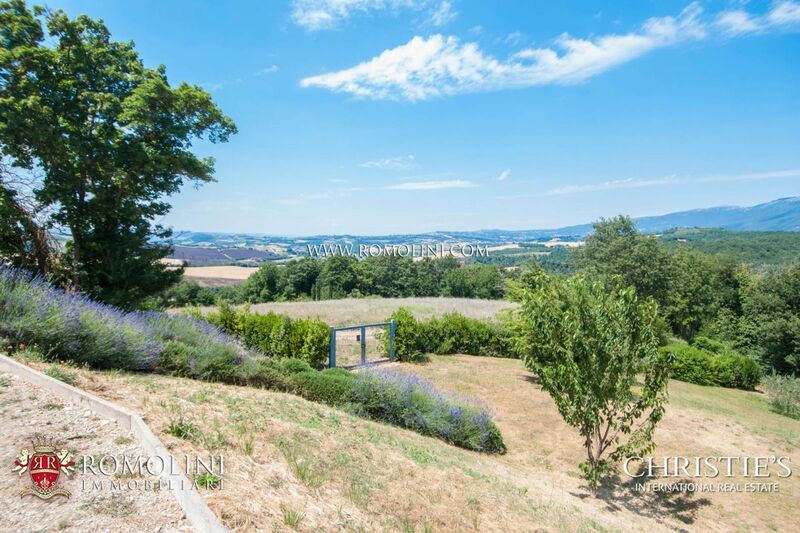 Final act for the Terre Arnolfiane was the decision taken by Pious V in 1568 to take direct control of the land, posing an end to the autonomy of the feudal entity. 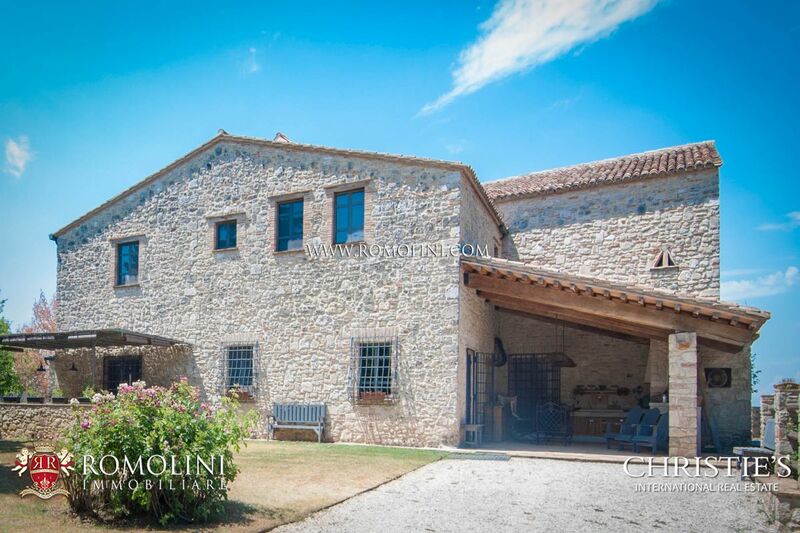 The farmhouse, thanks to the careful restoration carried out in 2005, is in excellent structural and aesthetic conditions. 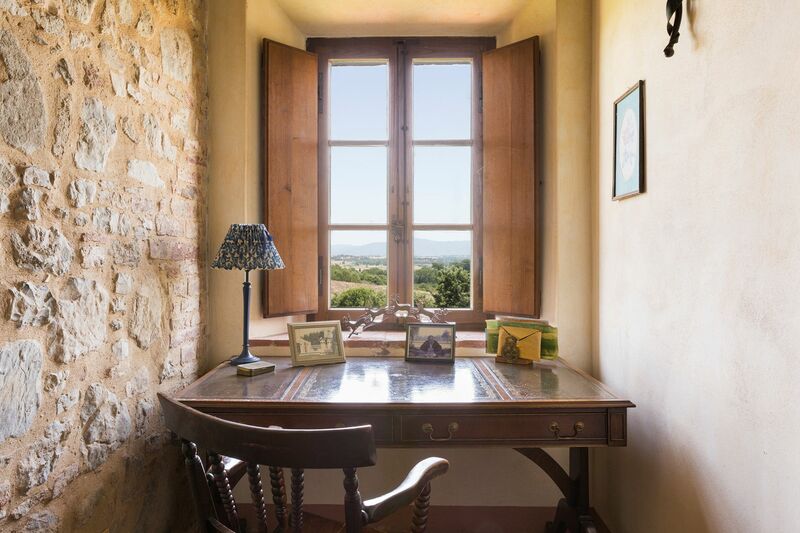 On the outside, we can see stone walls, while on the inside there are ancient terracotta floors on the ground floor and parquet floors on the first floor. 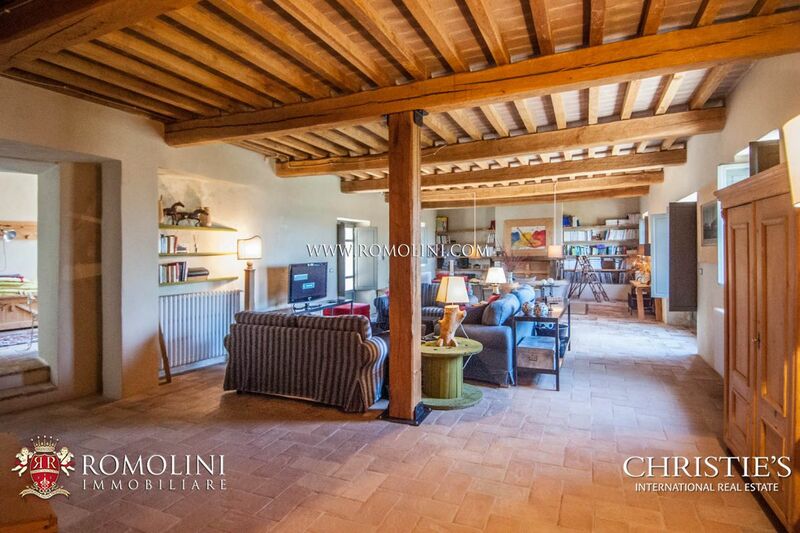 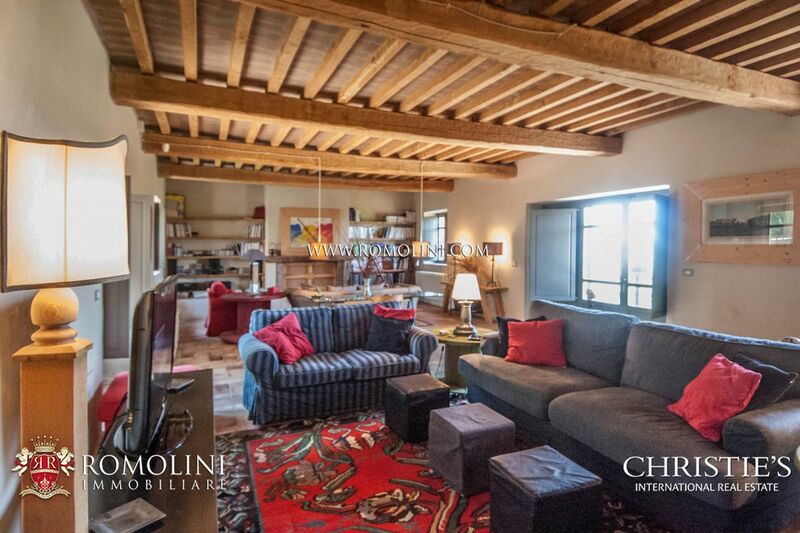 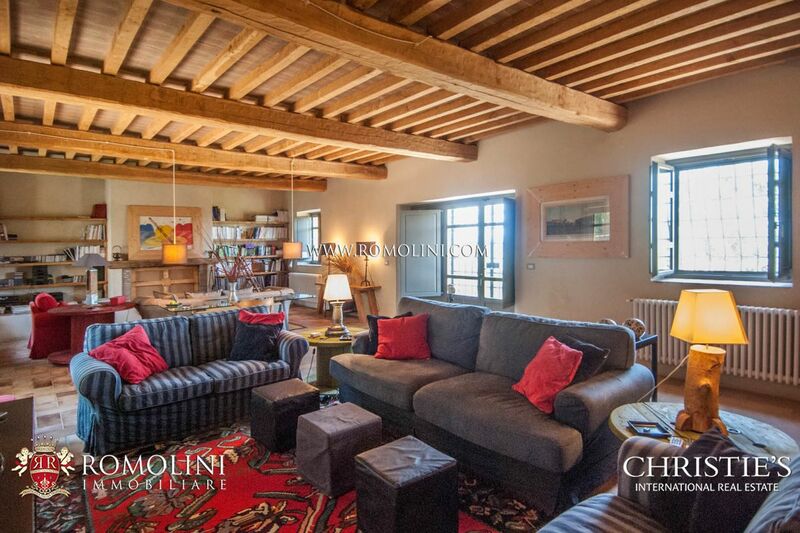 Ceilings are supported by oak wooden beams and terracotta tiles. 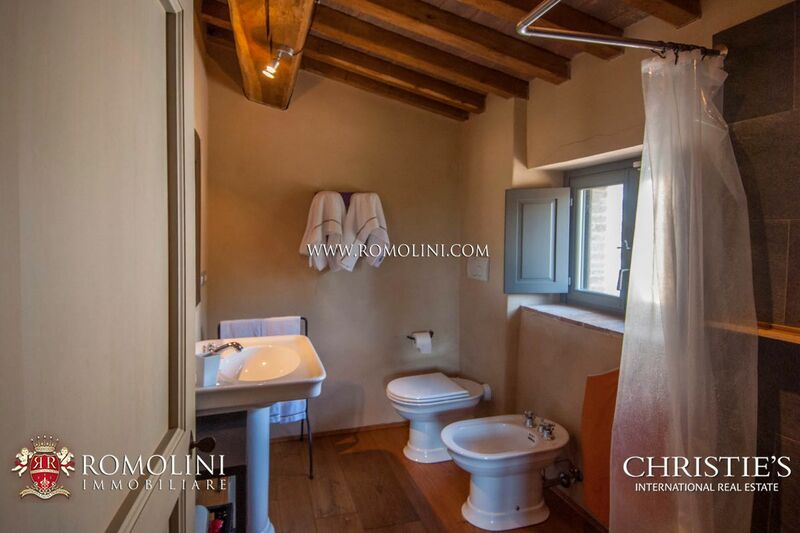 Some of the internal walls are left in visible stone, while the majority of them is plastered and painted. 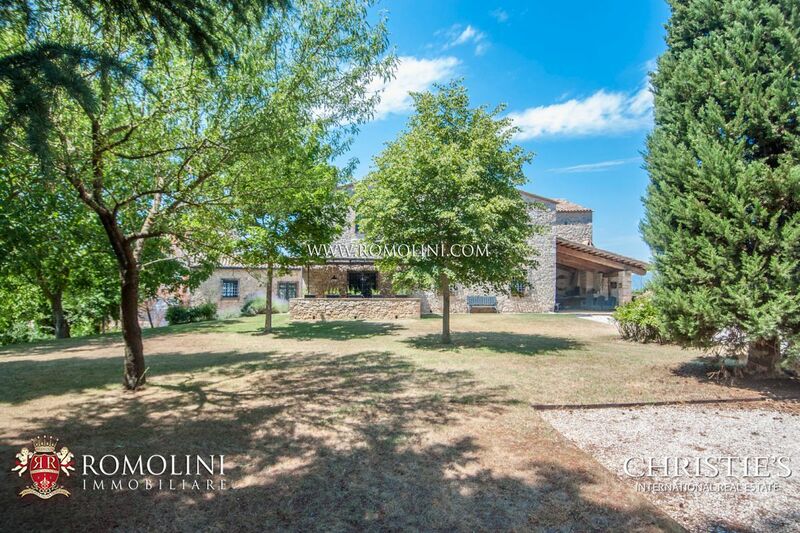 The farmhouse is surrounded by an 11.5 ha plot of land. 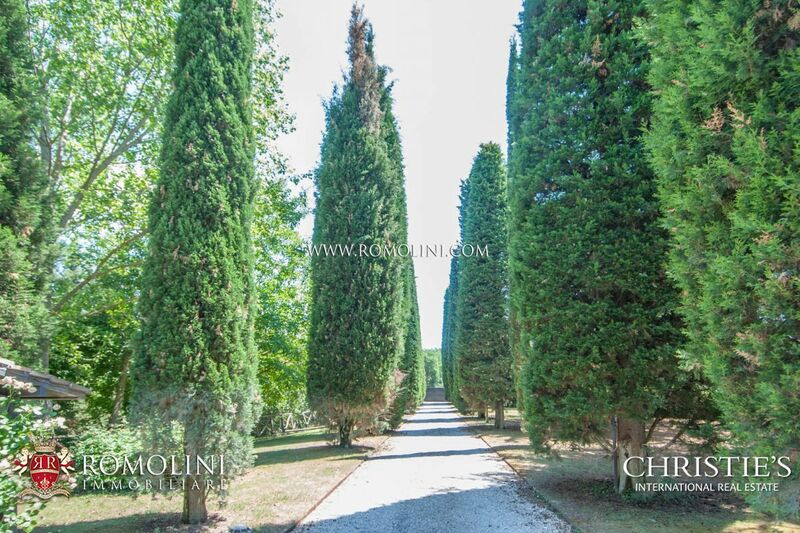 Of these, 1 hectare is covered by the garden of the building, while the remaining surface is reserved for arable land (3.5 ha), olive grove (1 ha) and mixed woodland (6 ha). 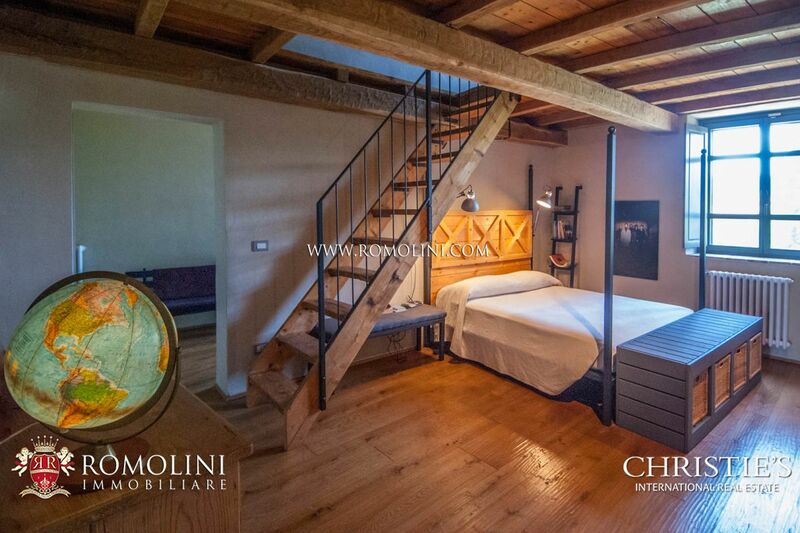 The farmhouse is perfect as a private residence to spend pleasant holidays in one of the most beautiful areas of the Italian peninsula. 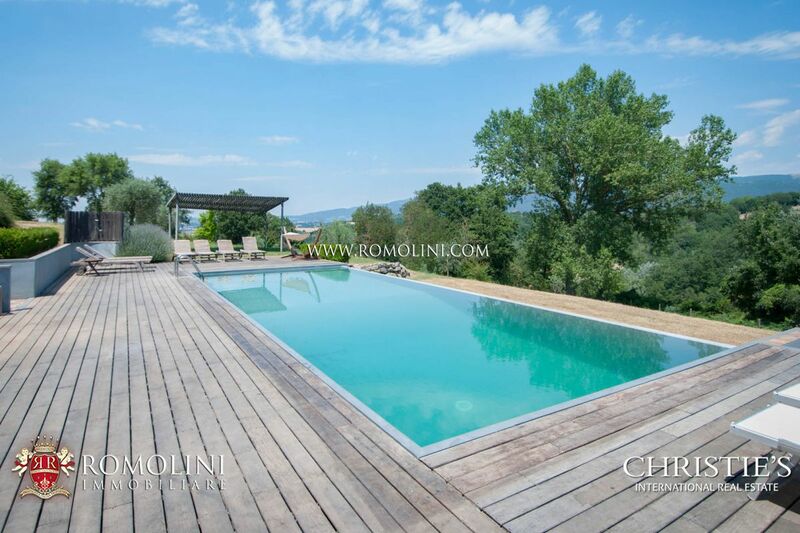 One can live here for all year long or just during summer. 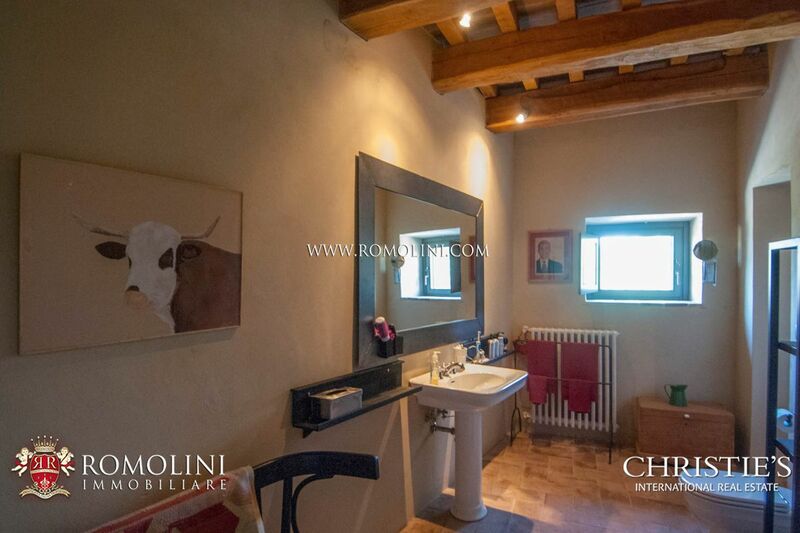 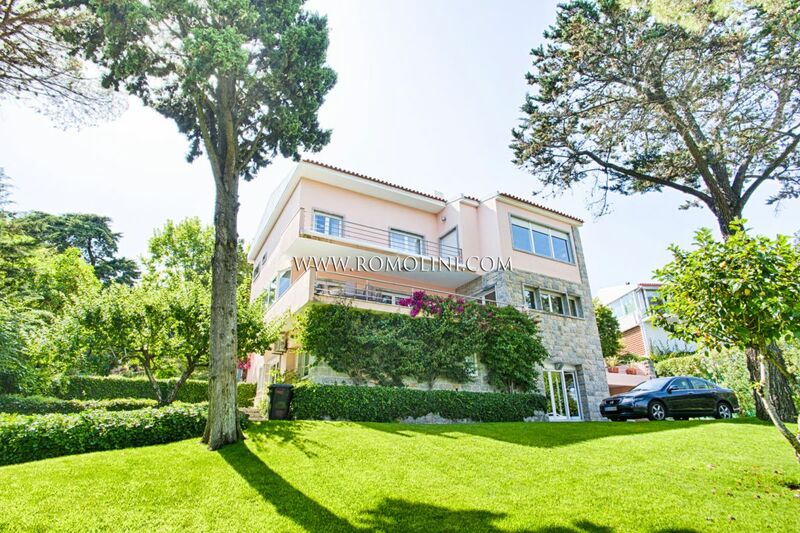 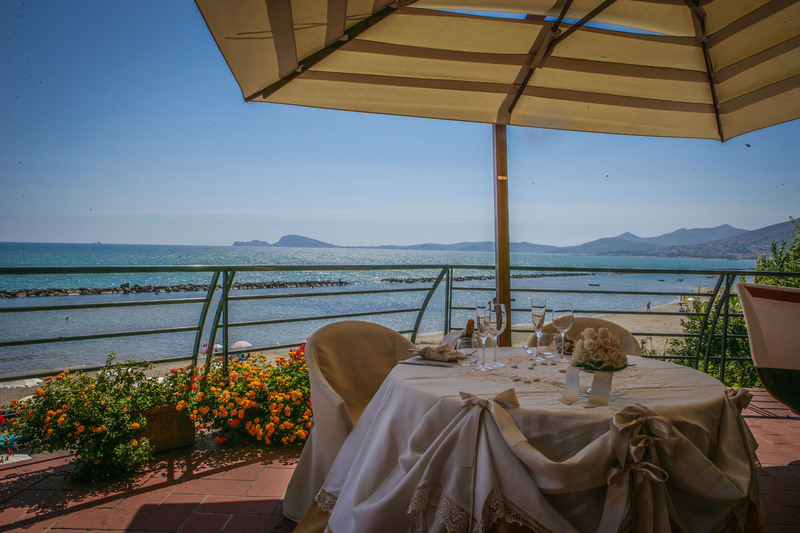 Alternatively, the property has all the credentials to be used in the field of hosting business, thanks to the presence of several bedrooms, a nice garden and a pool with solarium.